Some nights you're left hanging about what to make for dinner. You might have basic spaghetti noodles somewhere in a cupboard or drawer. The next frustration is what to make with it as you turn to a basically empty fridge. 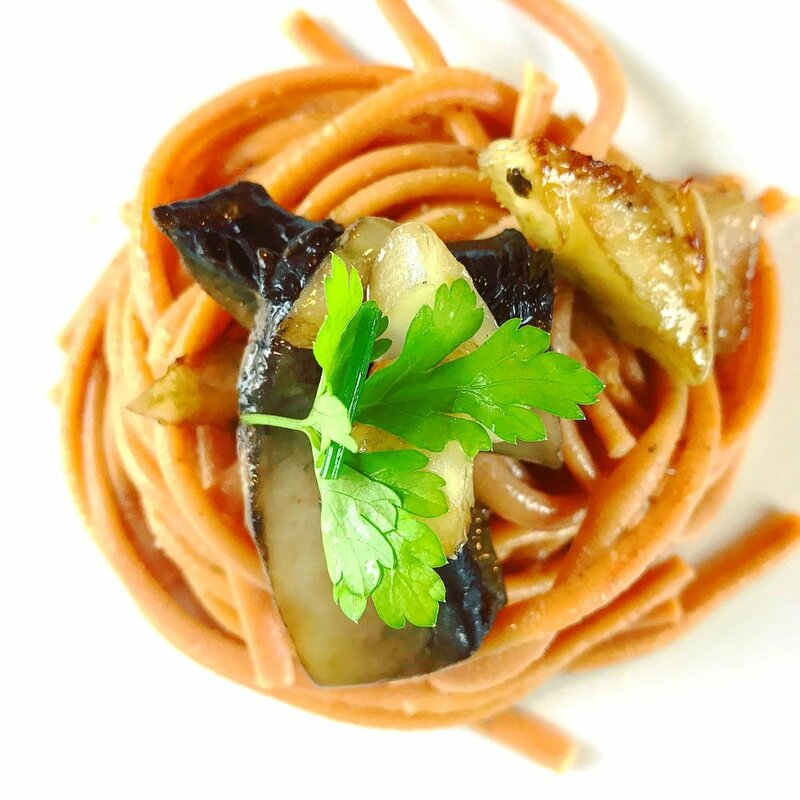 Do yourself a favor and stock up on handmade veggie pastas from Gourmet Texas Pasta. With fresh natural vegetables, spices and herbs, their pasta is fresh made and filled with so much flavor you don't even need a topping. Red pepper tastes as advertised--like roasted red bell pepper. Top with olive oil and any vegetables you have in your fridge (after a quick sauté) and you're golden. Three quarters of a package can easily feed four people. 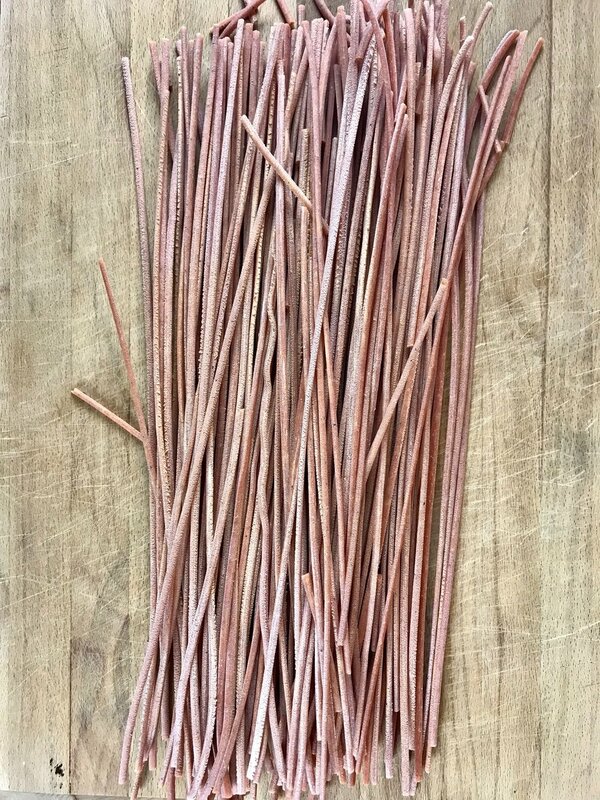 The pasta is filling, nutritious from the real ingredients used to make the dough that makes the strands. It cooks up in boiling water in less than 15 minutes. Tip: Add Mediterranea Seawater to your cooking water for a little extra pizazz to your pasta! It's almost a disservice to add sauce. Try flavors like red bell pepper, garlic lemon pepper, red curry & coconut, kalamata olive or spinach basil. Never let pasta leave you stranded again! Download Treatmo app on iTunes for the quickest route to all the options and shopping in a tap. Don't checkout without it. 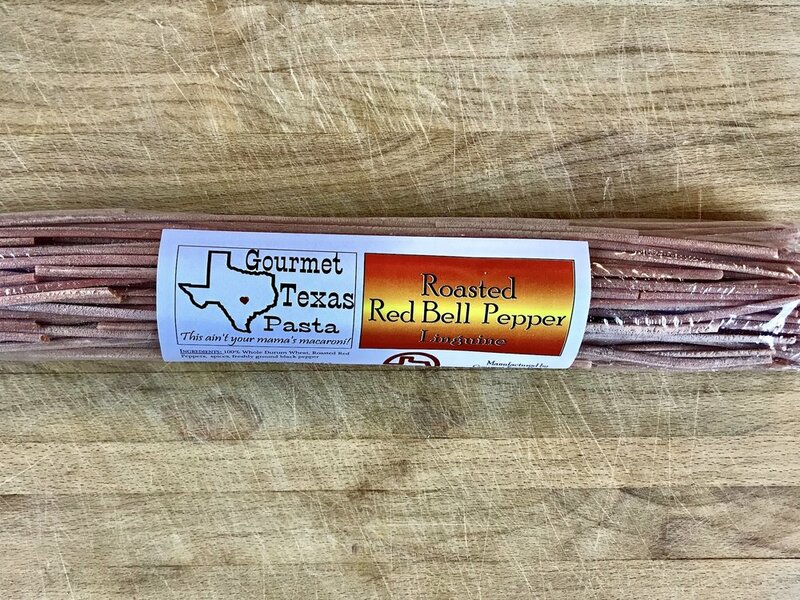 Get the app and shop Gourmet Texas Pasta and more amazing Texas food makers. Shop pasta, olive oil, seawater, spices, sugar.